Farmers, road departments, lawn mowing companies and property maintenance providers have long recognized the advantages of adding liquid ballast to tractor tires. Even minor improvements in traction are helpful on loose surfaces. Improved traction saves time and improves productivity. When bucket loaders and other accessories tend to pull the front tires off the ground, liquid ballast added to those tires can be particularly helpful. Tractor ballast also lowers the vehicle’s center of gravity. This is particularly helpful if you frequently operate on grade. The oversized tires and high axle clearances on 4×4 tractors result in a high center of gravity. Tire ballast can improve stability by lowering that center of gravity. Sometimes, ride quality is notably impacted by adding ballast to tractor tires. Ride quality is most affected at higher speeds, so the farmer that frequently operates a tractor on the highway will want to think more about ride quality than one who primarily keeps his tractor in the field. Everyone considering tire ballast wants to maximize performance and minimize cost. A wide variety of ballasts can be used, including water, windshield washer fluid, beet juice, calcium chloride, antifreeze and polyurethane foam. There are two problems with using water as ballast. First, expansion during freezing can separate the tire from the rim. Second, there are heavier liquids that provide better traction. Given water’s vulnerability at low temperatures, antifreeze is a logical alternative. Use pet-safe, non-toxic propylene glycol. It is relatively inexpensive, and it is heavier than water. Calcium chloride is a relatively economical salt compound that keeps water from freezing down to very low temperatures. Consider that 3.5 pounds of calcium chloride per gallon of water will lower the freezing point to -58 degrees F. However, calcium chloride can cause problems with rust and/or corrosion. A calcium chloride solution is as much as 40 percent heavier than water. Winter-blend washer fluid will readily resist freezing, and it is inexpensive. However, it weighs virtually the same as water, so you’ll miss out on the traction gains that heavier fluids offer. Given the disadvantages of these other forms of tractor tire ballast, it may be worth considering beet juice for tire ballast. Beet juice is a non-toxic liquid that is about 30 percent heavier than water, and its freezing point is about -35 degrees F.
Polyurethane foam goes into a tire as a liquid, but then it hardens. The big attraction is that it increases ballast weight by as much as 50 percent over plain water. Filling tractor tires with polyurethane foam gives you a no-flat tire, but future tire pressure adjustments are not possible. When the tire wears out, you need to cut it off the rim or opt for a new tire/wheel assembly. How much ballast should you put in a tire? In general, you’ll want to limit ballast to 40 percent to 75 percent of tire capacity. Michelin suggests a 75 percent maximum while John Deere says 90 percent is acceptable. Bobby Ford Kubota is a family-owned kubota dealership in Angleton, Texas. 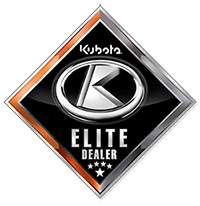 Call us at 979-282-3142 or visit us in Angleton when you are looking for new or pre-owned Kubota tractors, parts and service.